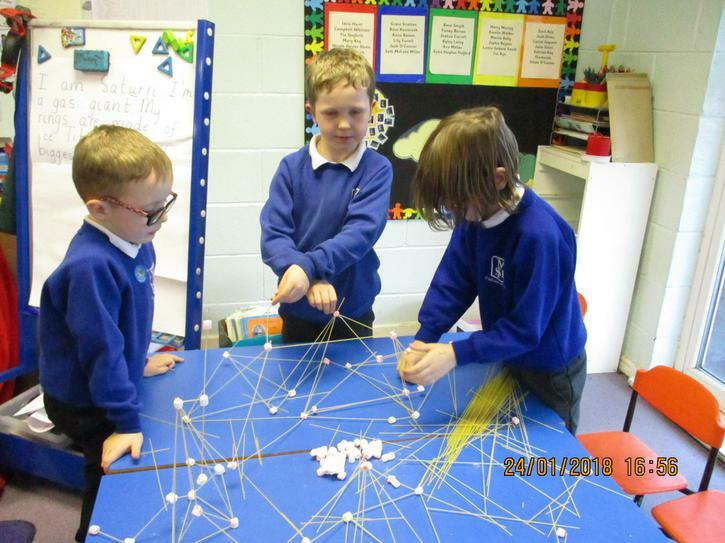 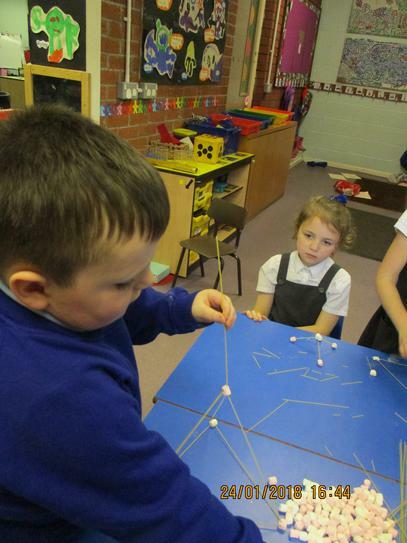 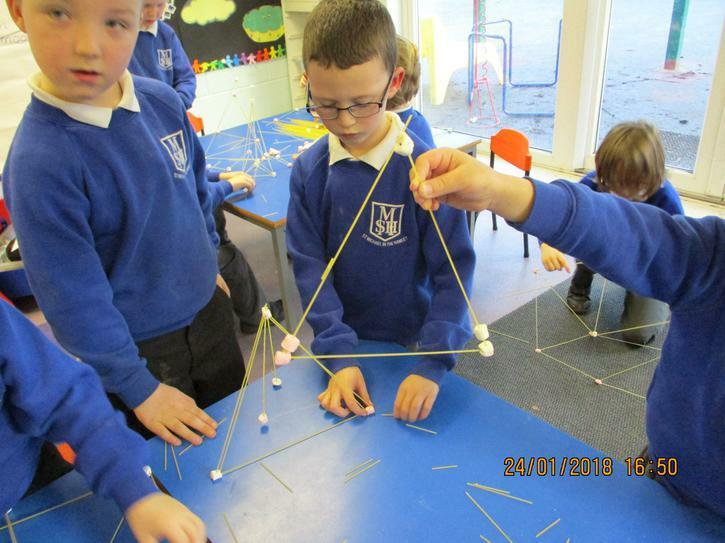 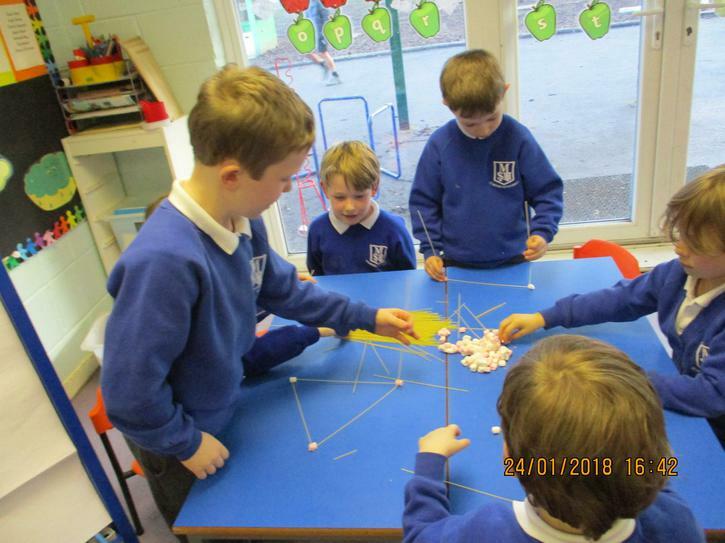 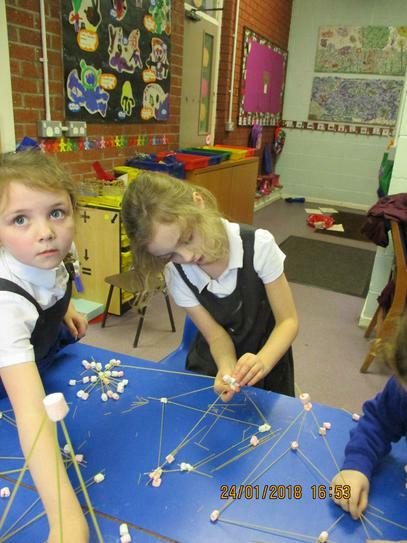 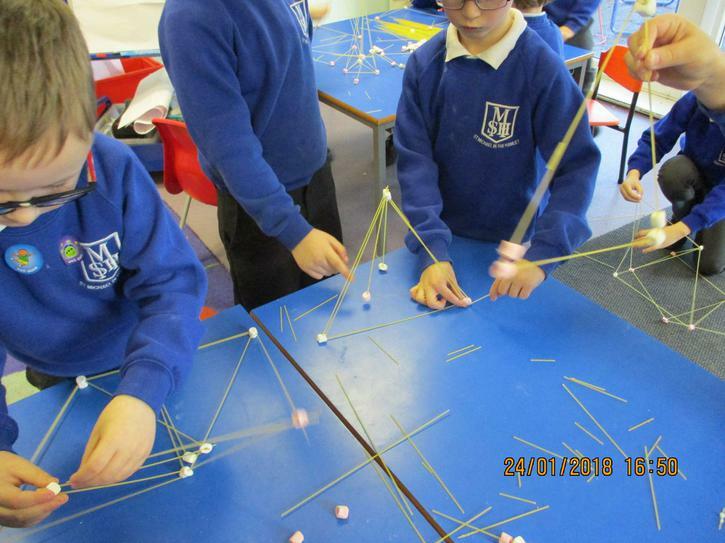 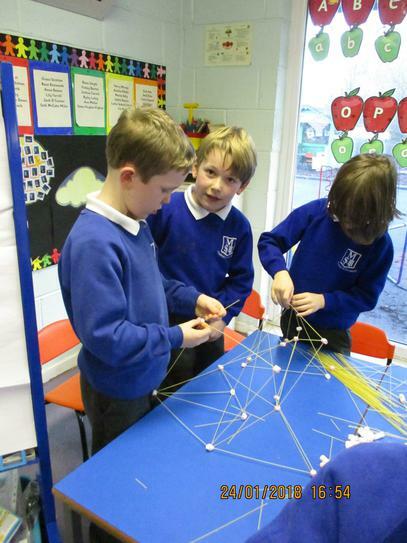 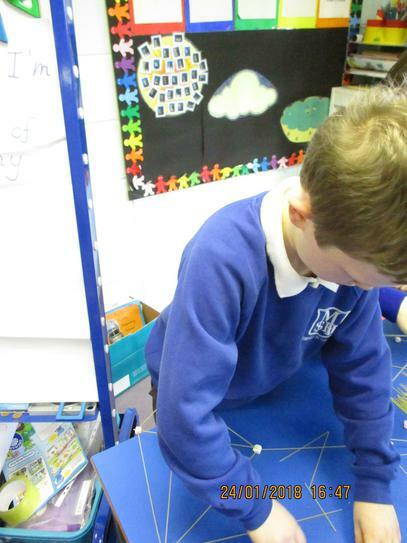 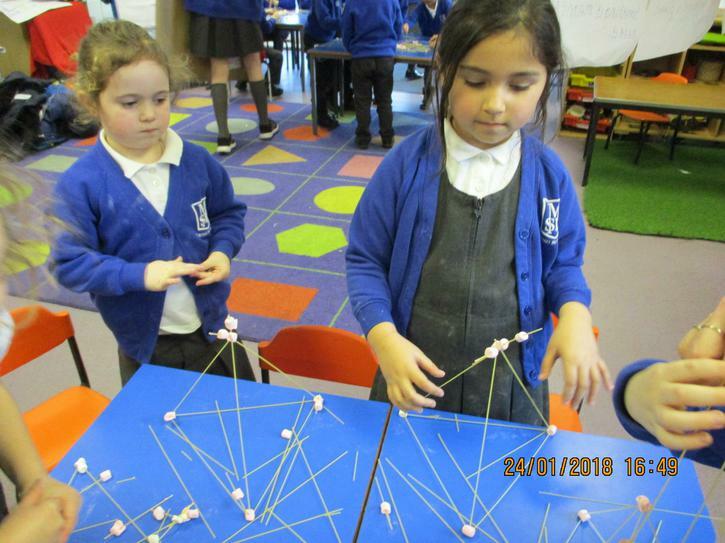 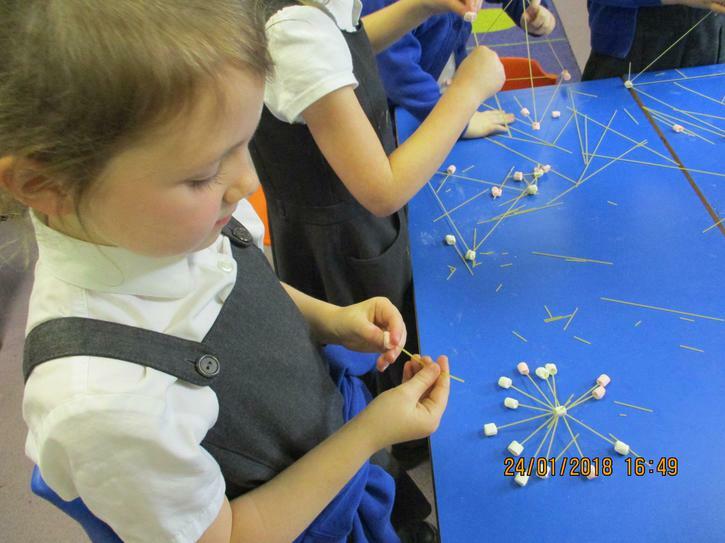 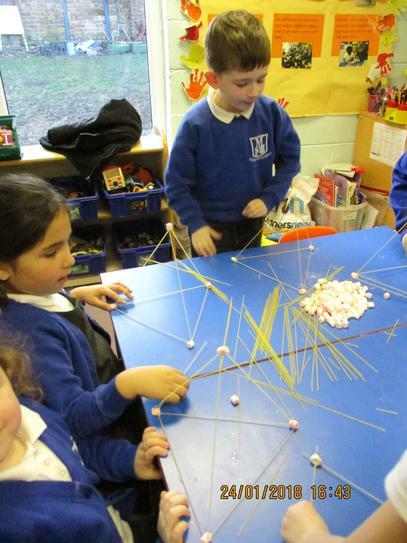 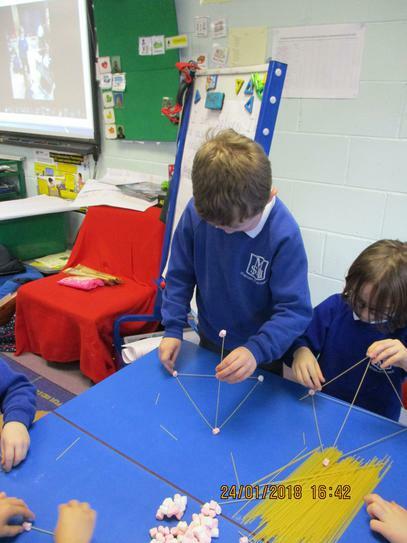 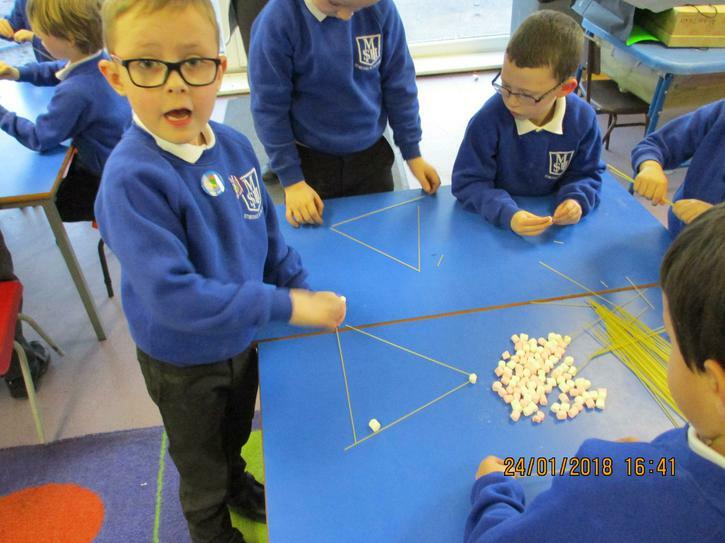 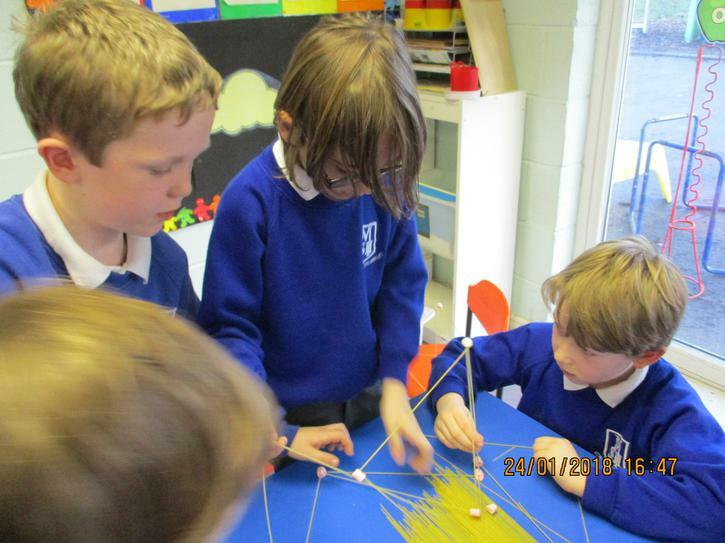 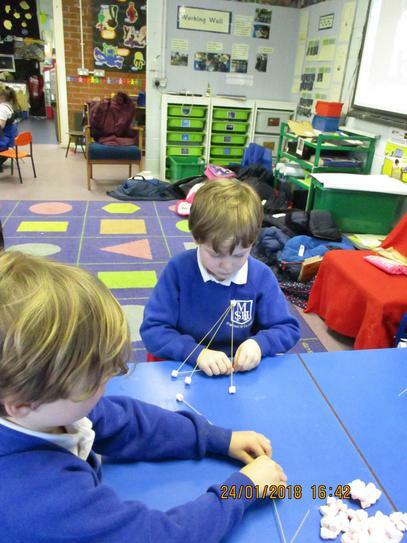 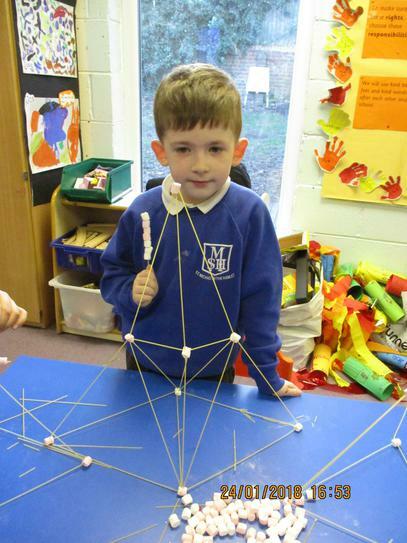 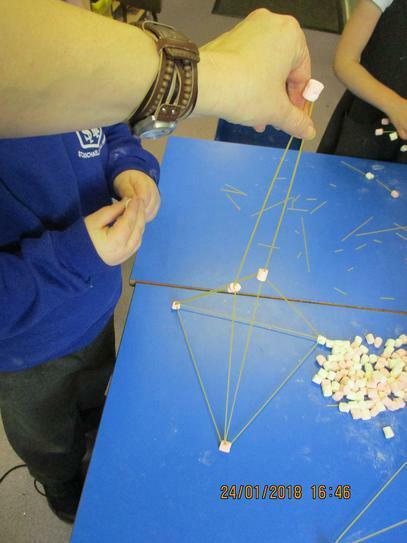 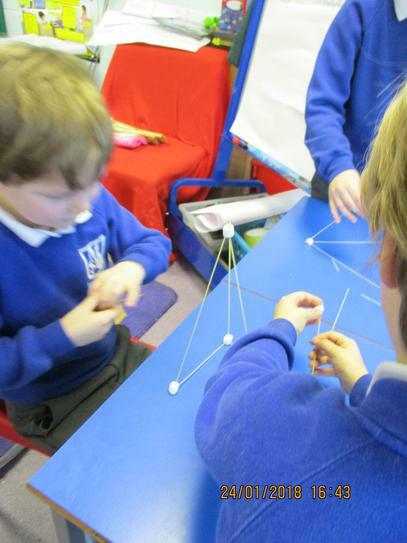 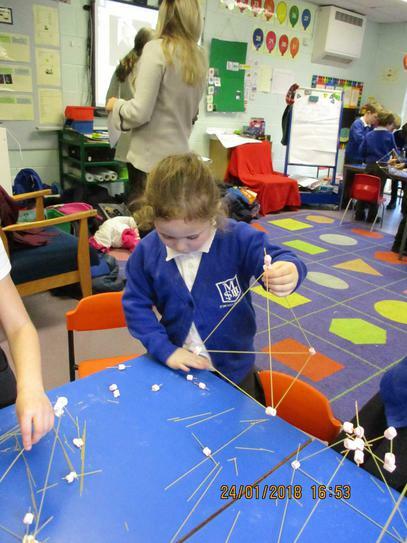 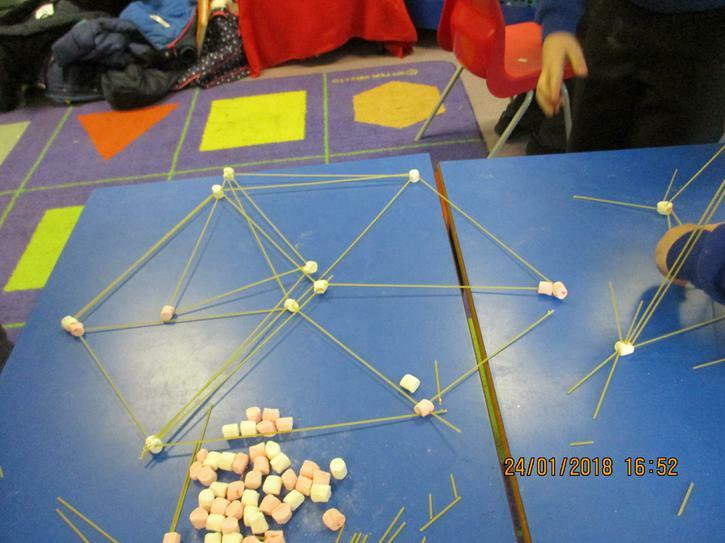 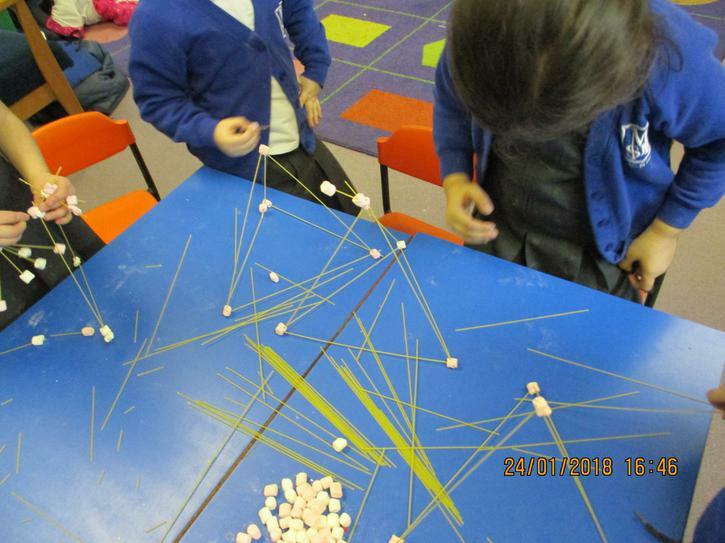 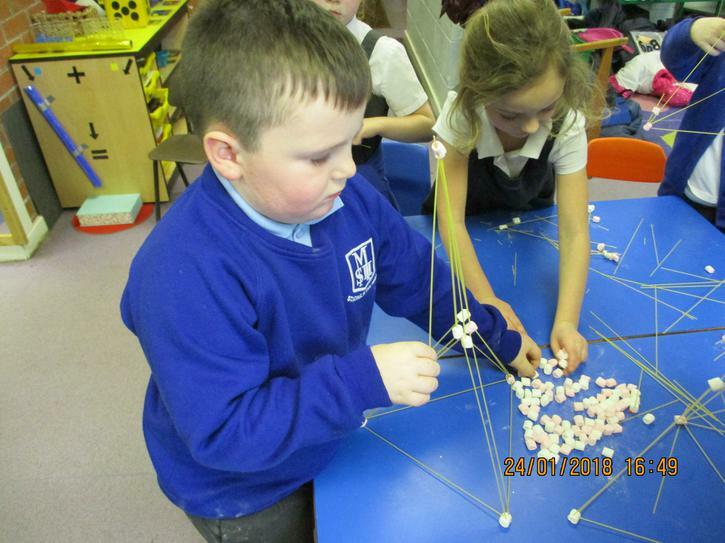 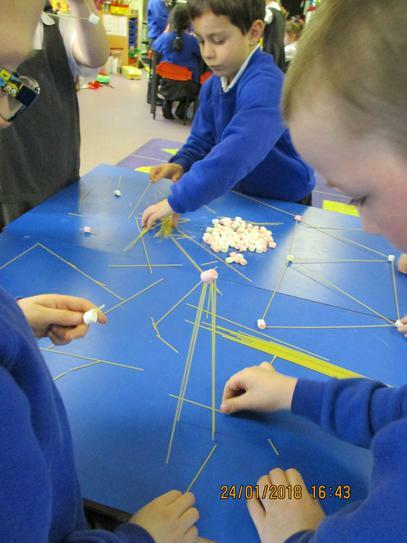 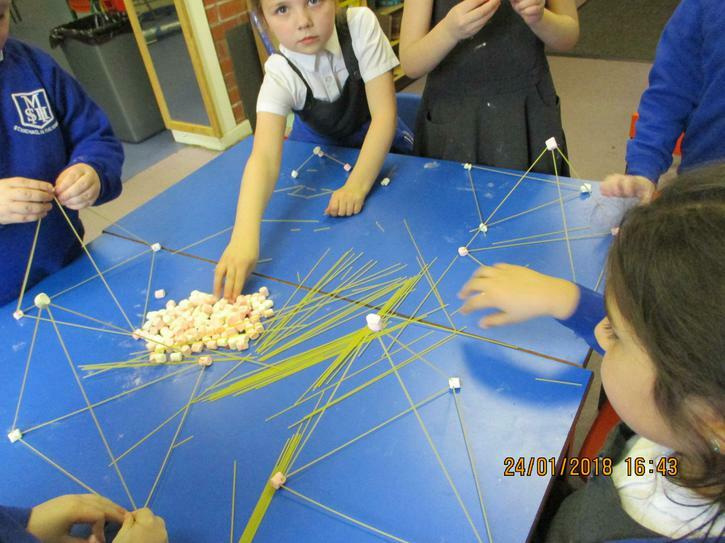 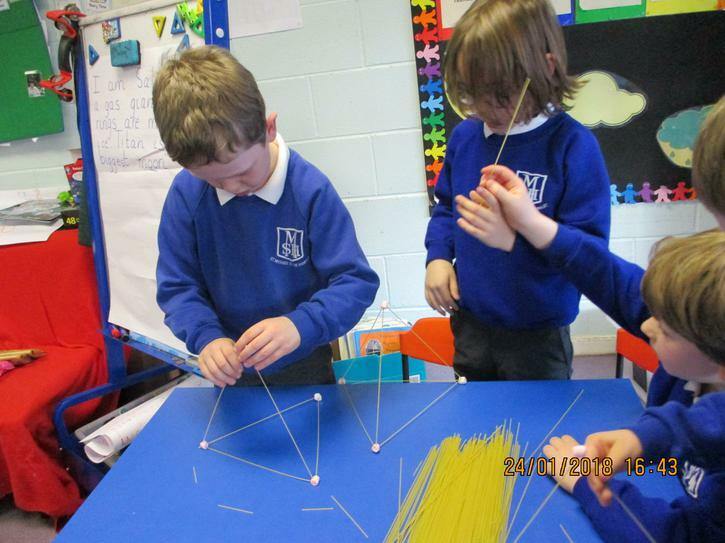 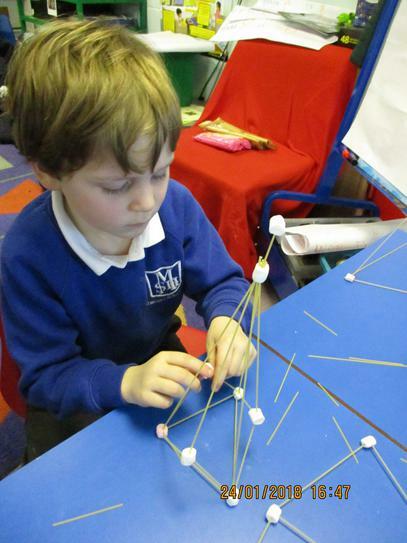 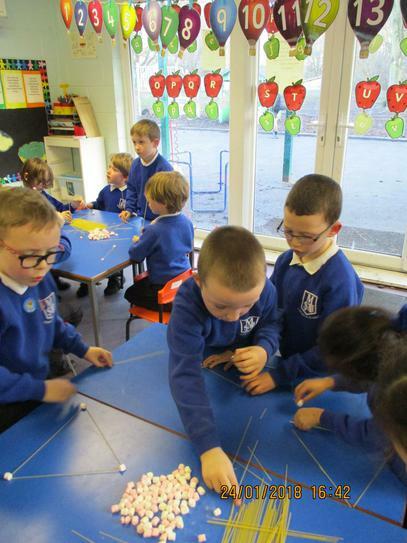 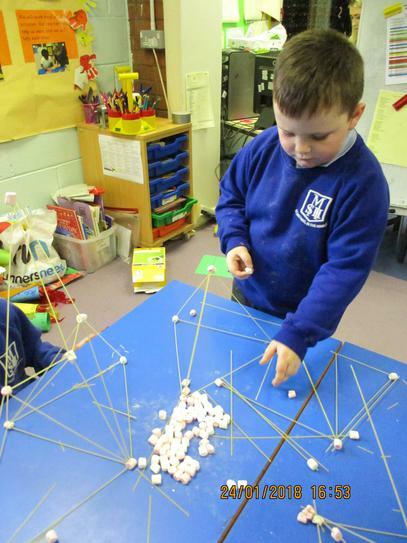 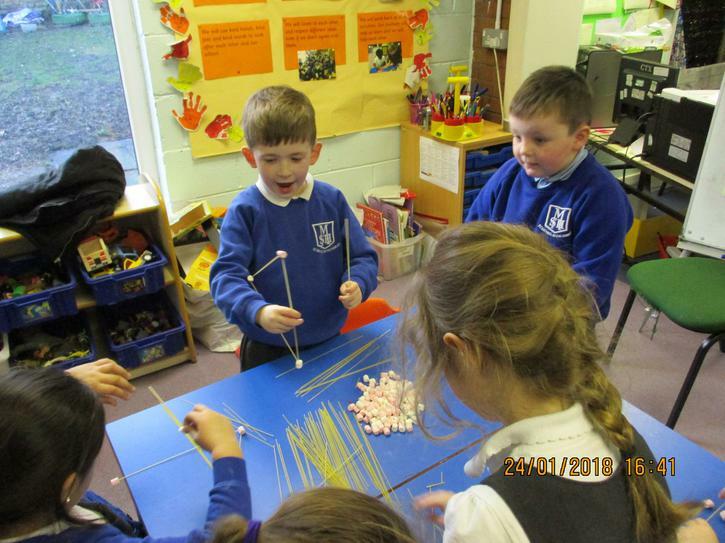 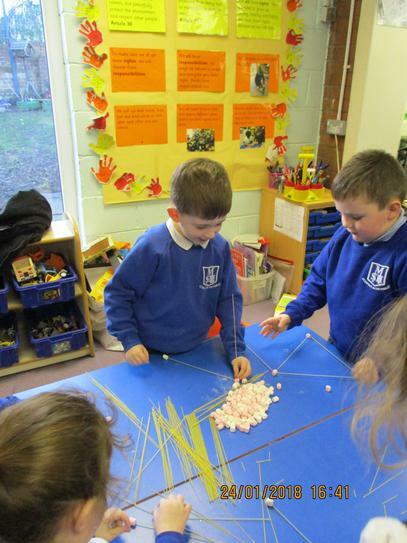 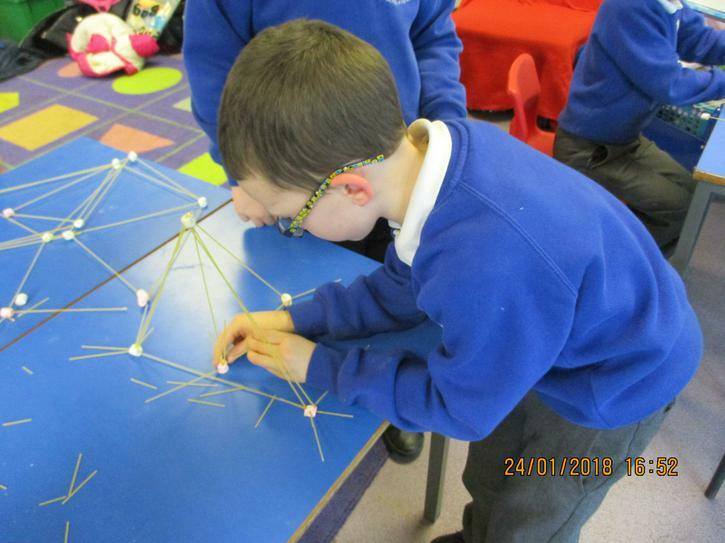 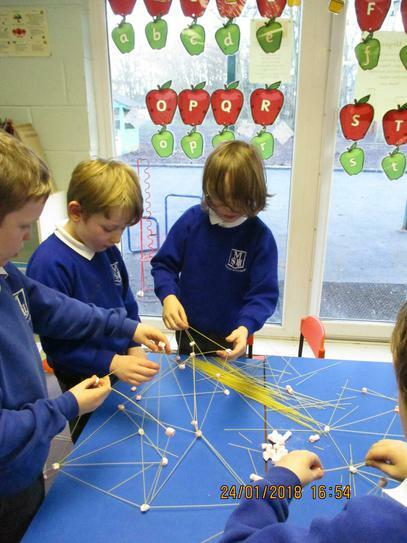 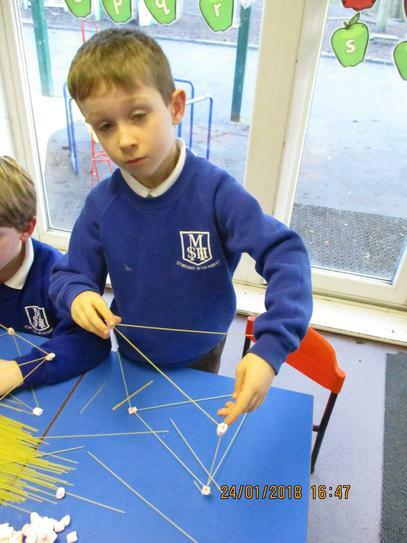 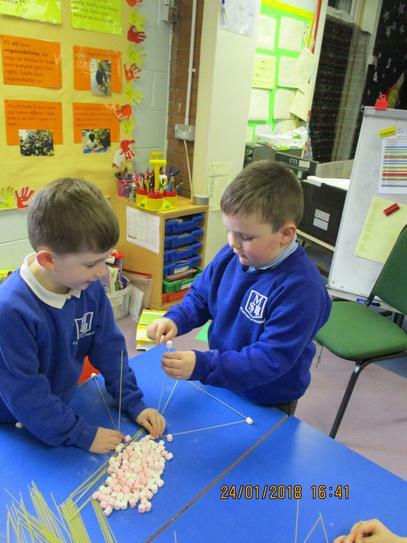 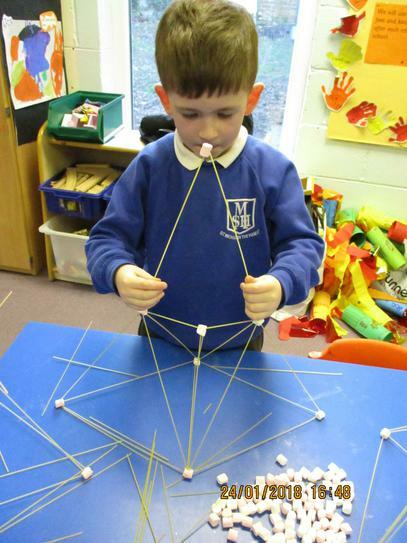 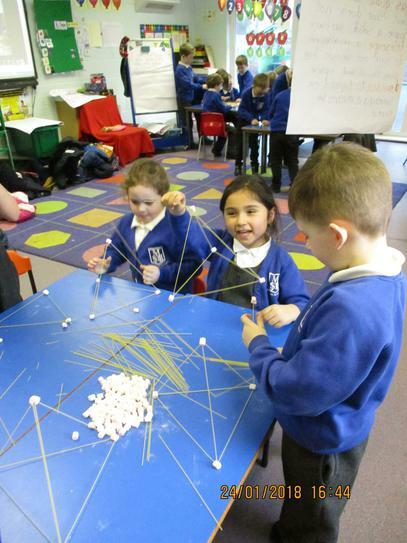 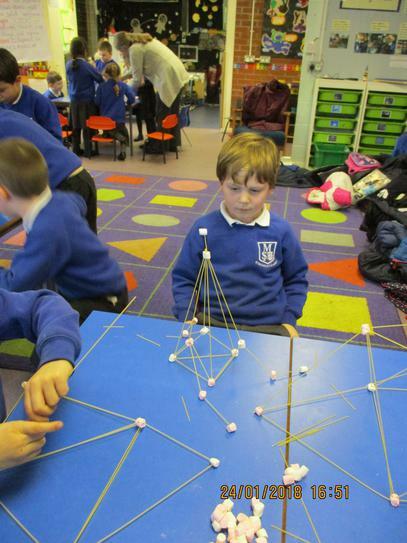 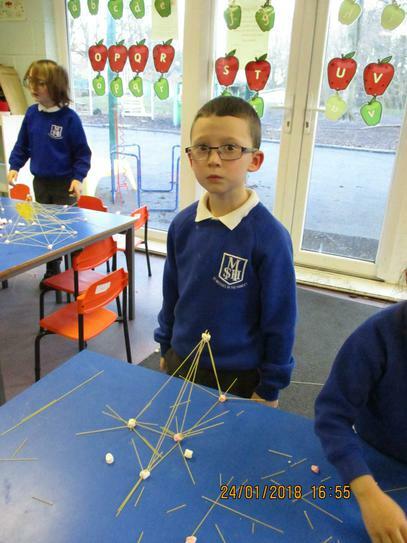 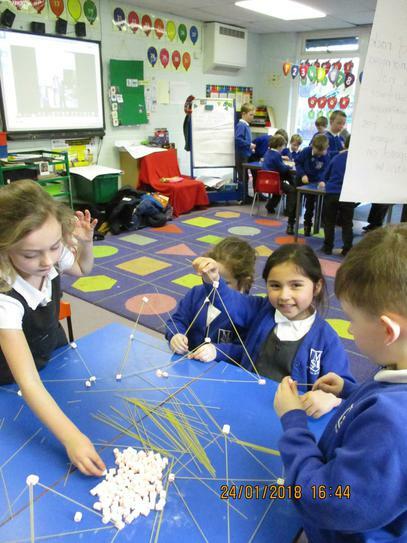 This week in STEM club we made towers and buildings using spaghetti. 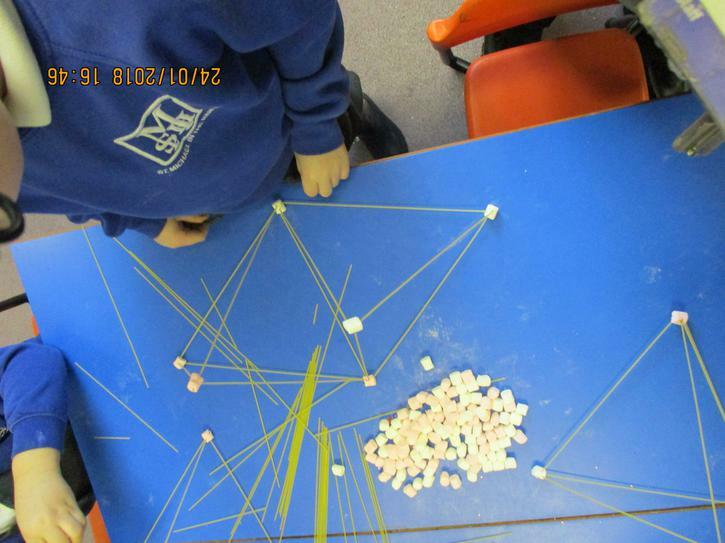 We joined the uncooked strands of spaghetti together using marshmallows. 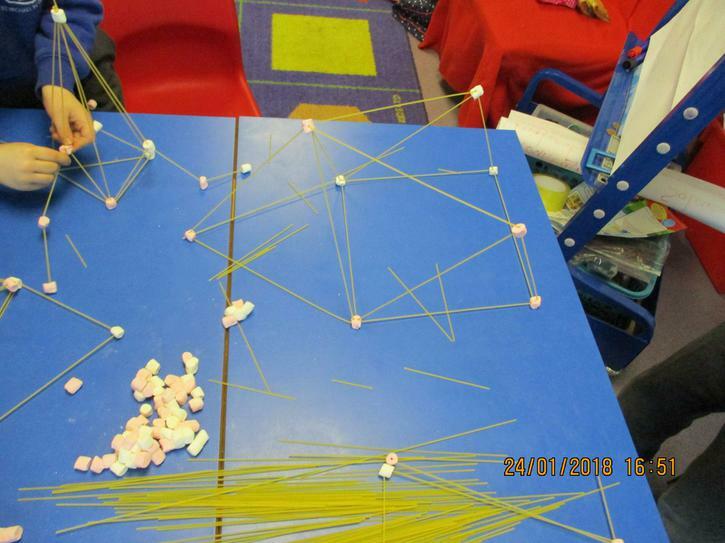 We had to work carefully because the spaghetti was fragile. 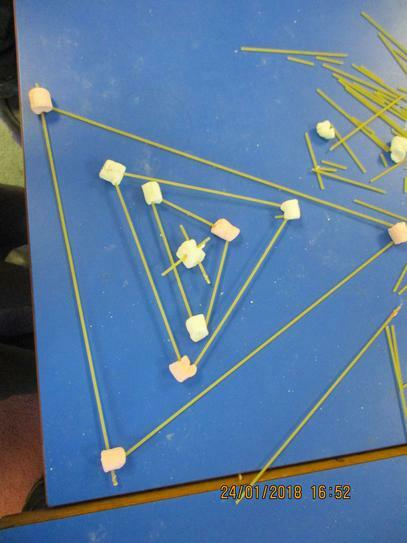 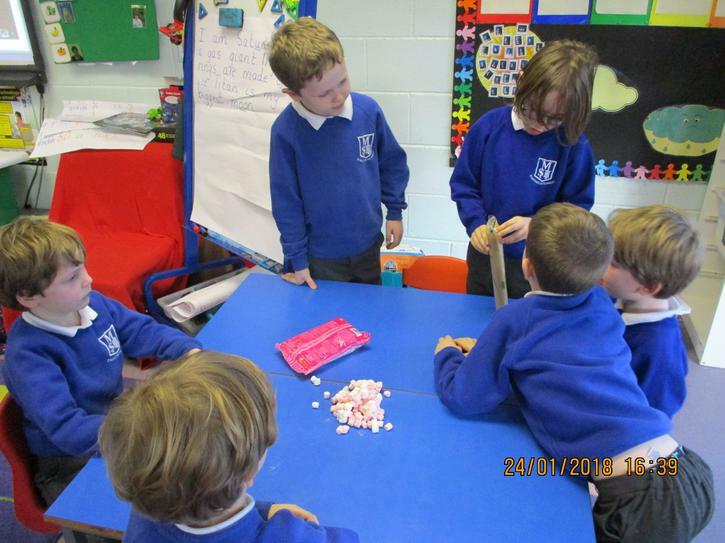 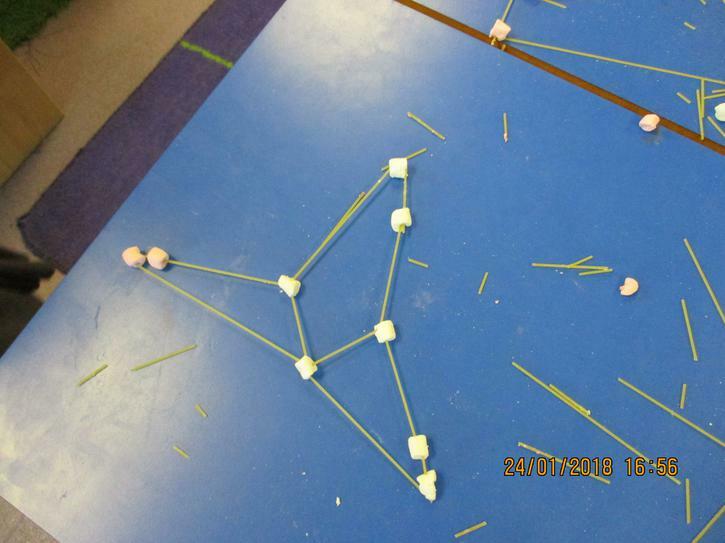 Which shapes do you think were the strongest? 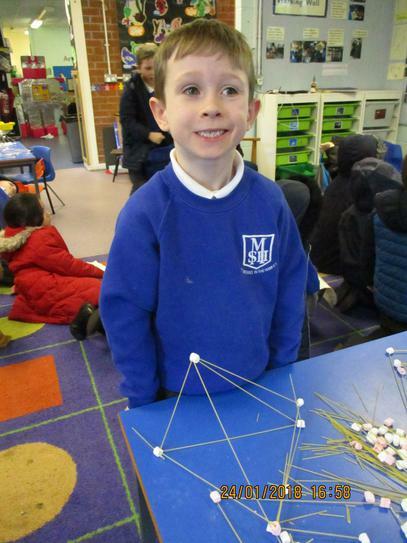 One of our scientists was so enthusiastic he carried on at home and showed his brother how to build these models. 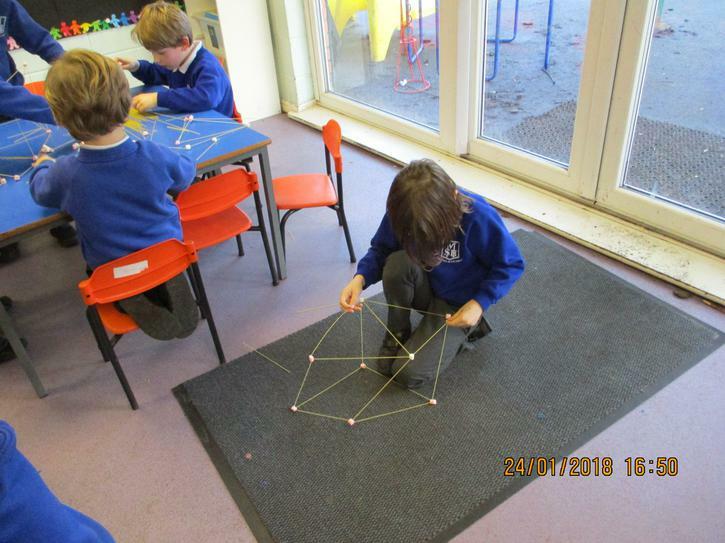 Check the link below to see.